What is going on right now in Libya could fairly be described as a definite genocide as Gadhafi is essentially killing off his own people just to assert his power. To no surprise, the international community is shocked and appalled by Gadhafi’s actions and wants an end to the violence in the Middle East. Now President Barack Obama of the United States is letting his voice be heard. As the leader of the most powerful state in the world, his response to the violence in Libya is important and vital to how the rest of the world will respond. 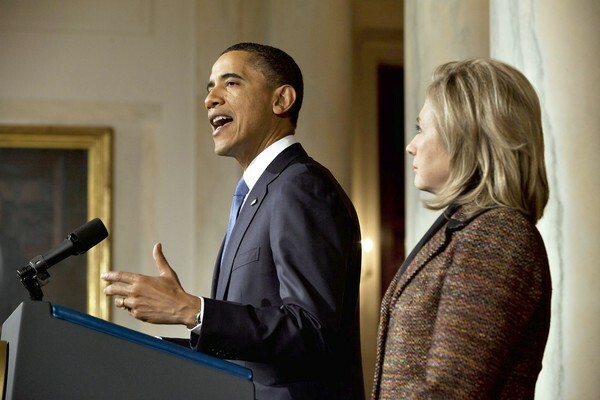 Obama added that Gadhafi and his officials are to be held responsible for their actions. The President also told reporters that his administration is working to get all Americans out of Libya as fast as possible to ensure their safety from the violence. Obama is also sending Hilary Clinton to Geneva, Switzerland. There she will meet with the Human Rights Council of the United Nations to figure out how to make sure that the people in Libya are safe. Also, they will work on how to address the violent acts of the Libyan government. Another concern by the United Nations is being able to get humanitarian groups into Libya to protect the people and provide supplies and medical care. Furthermore, Obama is calling for a united stance against the actions of Gadhafi. As time continues to pass and the violence does not end, the urgency to respond to what is going on in Libya grows. Tensions in the Middle East have been high for most of 2011 and there seems to be no relief in sight. With two leaders already stepping down from power, will Gadhafi be the next?